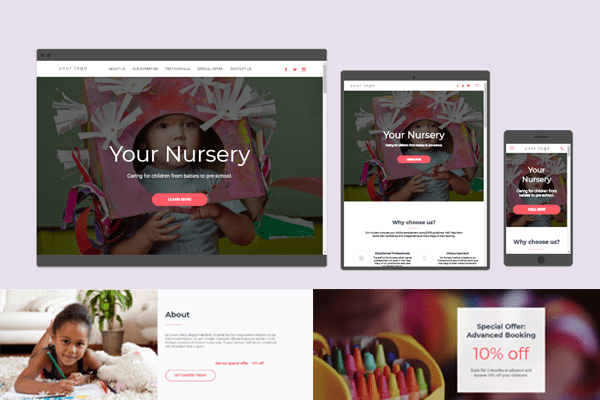 Our team have built hundreds of childcare websites over the years, from standard templates to bespoke designs. 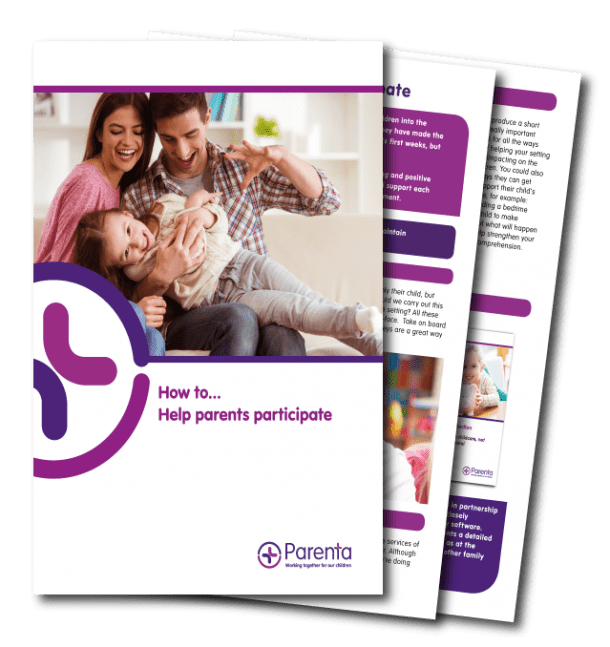 We understand what will get more parents to engage with you. 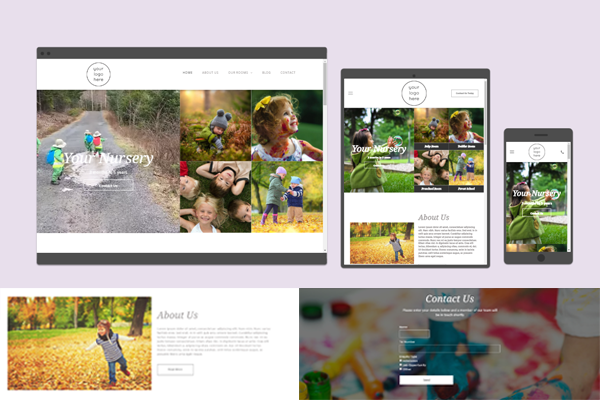 We ensure parents looking at your website get the most out of their online experience. 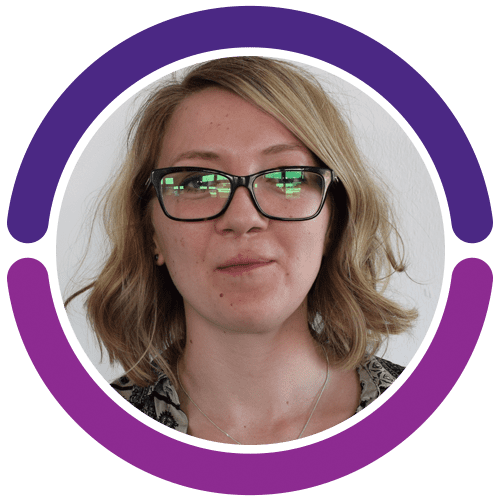 We can help, whatever your budget or technical experience. 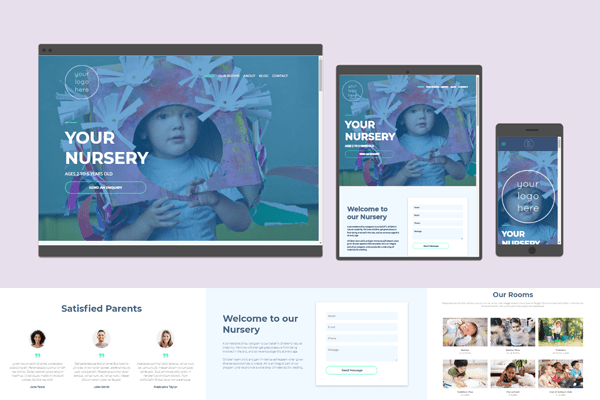 Our websites are built on a fully responsive platform which means your website can be viewed by parents on any device at any time. 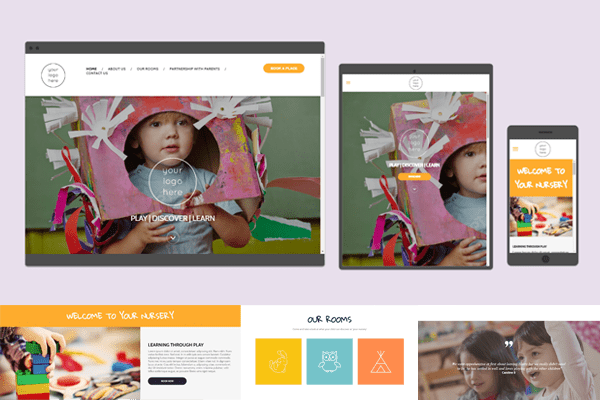 Our packages range from standard template builds to more bespoke creations where you can be completely individual and have as much input as you wish. 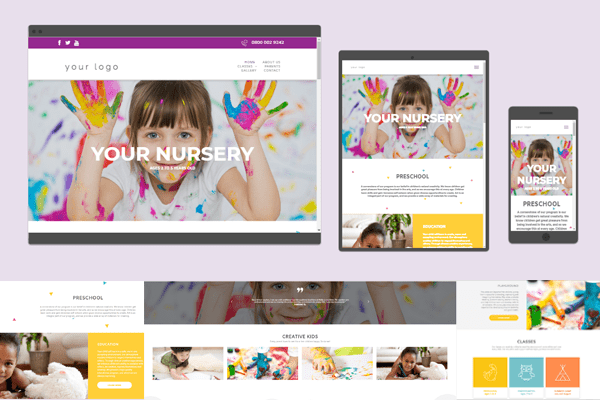 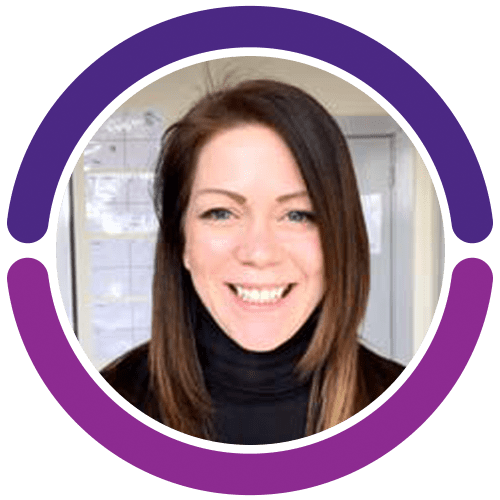 Think of it like this – a nursery website is like having your very own marketing team working on promoting your setting 24 hours a day, 7 days a week, 365 days a year…need we say any more?! 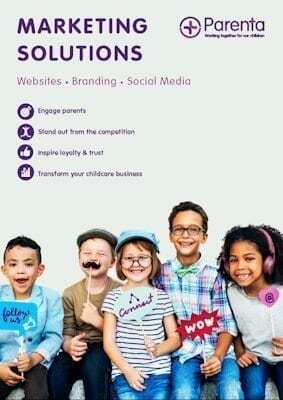 For more information on our amazing website building service, branding and social media, have a look through our brochure.